While the national debate about gun control has simmered, anti-gun activists are hard at work behind the scenes to come up with new ways to push their agenda. Attorney General Eric Holder said on Friday that gun tracking bracelets are something the Justice Department (DOJ) wants to “explore” as part of its gun control efforts. When discussing gun violence prevention programs within the DOJ, Holder told a House appropriations subcommittee that his agency is looking into technological innovations. 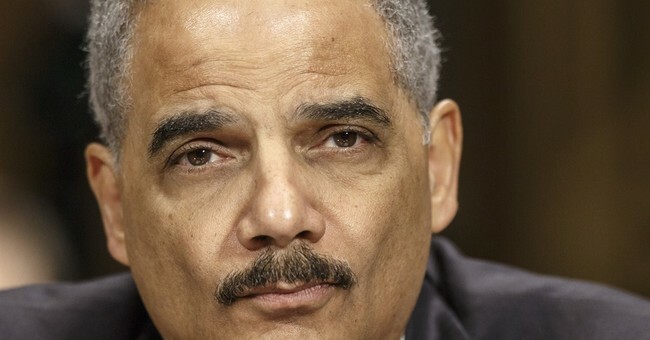 Funny how people like Holder are always concerned about tracking the guns of Americans, yet failed to track 2500 AK-47s and .50 caliber rifles that the Department of Justice sent to violent Mexican drug cartels between 2009 and 2010. Technological tricks are par for the course for anti-rights gun banning autocrats. Technology becomes a tool to ban things – just mandate a feature for “safety” (especially when it’s the antithesis of safe) and suddenly all the things they want to ban can be banned in the name of “safety”. Then soon enough the last thing wasn’t “safe” enough, and it can be banned, too. On top of this new tactic, last month Senator Dianne Feinsten asked her fellow senators to sign a letter to President Obama urging him to ban imports of sporting rifles and ammunition from overseas. Feinstein is calling on fellow Senators to sign a letter to President Obama asking him to issue an executive order banning the import of "assault or military weapons" and firearms not "generally recognized as particularly suitable for or readily adaptable to sporting purposes." The executive order would be enforced by the Bureau of Alcohol, Tobacco and Firearms. As a reminder, Attorney General Eric Holder is sill in contempt of Congress for his stonewalling and failure to cooperate with the Oversight Committee Investigation into Operation Fast and Furious. Further, lets not forget Holder is also the guy who said we should "brainwash" people against guns. Update: Bob Owens over at Bearing Arms points out that Holder was referring to smart gun technology bracelets/watches that link up with firearms, not necessarily "gun tracking bracelets." He was instead likely referring to “smart gun” technologies like the RFID technology used in the technological train-wreck that is the Armatix iP1 pistol/iW1 watch combination.